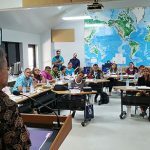 WASHINGTON—Twenty-six island government officials recently completed the third and penultimate session of the leadership development and training program—called Pacific Islands Executive Leadership Development Program—in Yap, Micronesia. The 26 comprise the 2018-2019 cohort of the ELDP. The 26 participants hail from the U.S. territories of American Samoa, Guam, and the Commonwealth of the Northern Mariana Islands, and from the Freely Associated States of the Federated States of Micronesia, the Republic of the Marshall Islands, and the Republic of Palau. Students from the U.S. Virgin Islands participate in a separate Executive Leadership Program that takes place in various locations on the East Coast and in Washington, D.C. The third week of the ELDP focused on leading institutions, with the participants being challenged to practice policy advocacy skills through the use of leadership concepts and principles taught during the first two ELDP sessions. Participants interpreted and utilized fiscal and economic data to develop policy reform options to address issues relevant to island jurisdictions. Other activities included updating individual leadership development plans, presenting team project updates, and participating in one-on-one meetings with ELDP program advisors to review each individual leader’s progress to date and discuss continued professional growth. ELDP participants were welcomed to Yap by Gov. Henry Falan and they heard from additional guest speakers including T.H. Vincent Figir, speaker of the Yap State Legislature; Larry Raigetal, traditional navigator and director of Wa’agey; T.H. 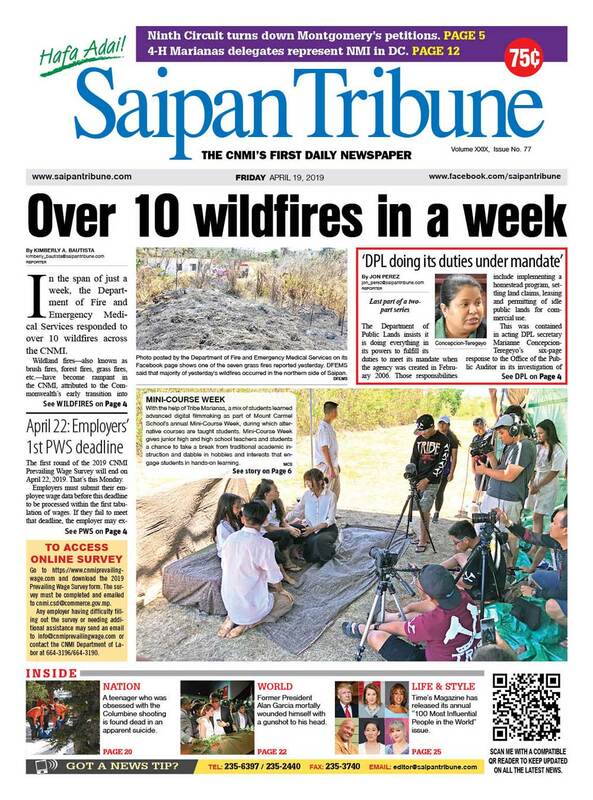 Cyprian Manmaw, Yap state chief justice; and Dr. Margie Falanruw, director of the Yap Institute of Natural Science. Three program advisors supported the ELDP during the week: T.H. Sebastian Anefal, FSM ambassador to Fiji; Dr. Mary Okada, president of Guam Community College; and Anna Mendiola, president and CEO of the FSM Development Bank. The ELDP was created in 2009 to address challenges attracting and retaining qualified individuals to work in core functions of island governments. The U.S. insular areas now count 103 alumni who have developed their leadership abilities through the ELDP. Graduates of the program now serve in their respective island governments as ambassadors, elected representatives, judges, cabinet members, directors, and dedicated public servants. The ELDP remains competitive, with over 100 applications received and evaluated each program year. 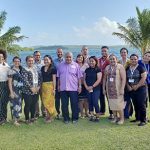 This 2018-2019 cohort of the Pacific Islands ELDP will participate in one final session and graduate in June 2019. Yap State Chief Justice Cyprian Manmaw addresses the 2018-2019 cohort of the ELDP. Some members of the 2018-2019 cohort of the ELDP pose with Yap Gov. Henry Falan. 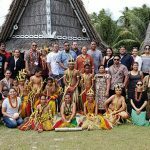 The 2018-2019 cohort of the ELDP pose with instructors and traditional Yapese dancers in a traditional village.